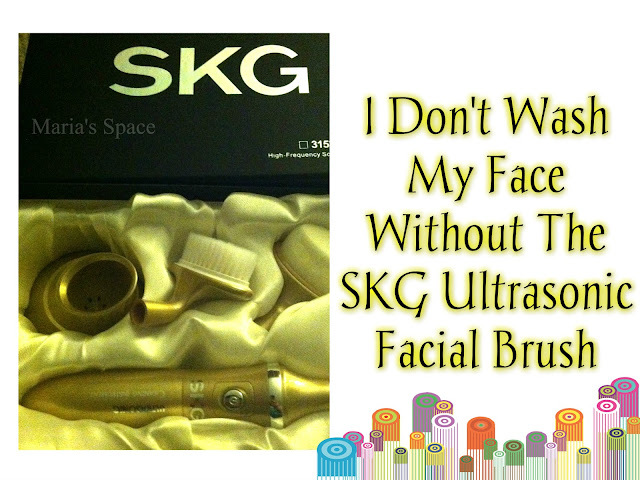 Maria's Space: SKG Ultrasonic Facial Brush Makes My Skin Feel Like Silk! 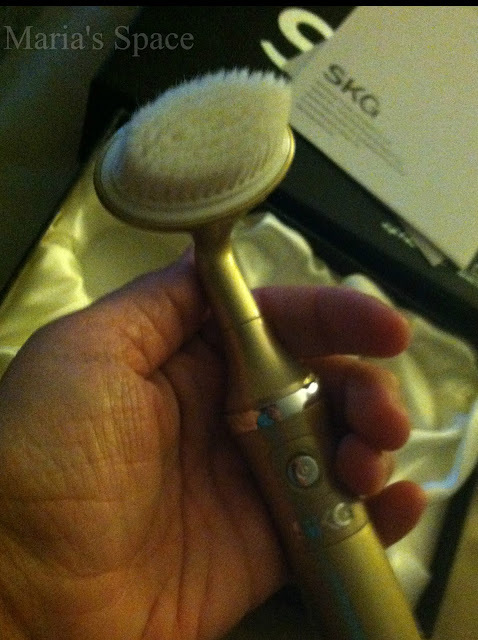 SKG Ultrasonic Facial Brush Makes My Skin Feel Like Silk! 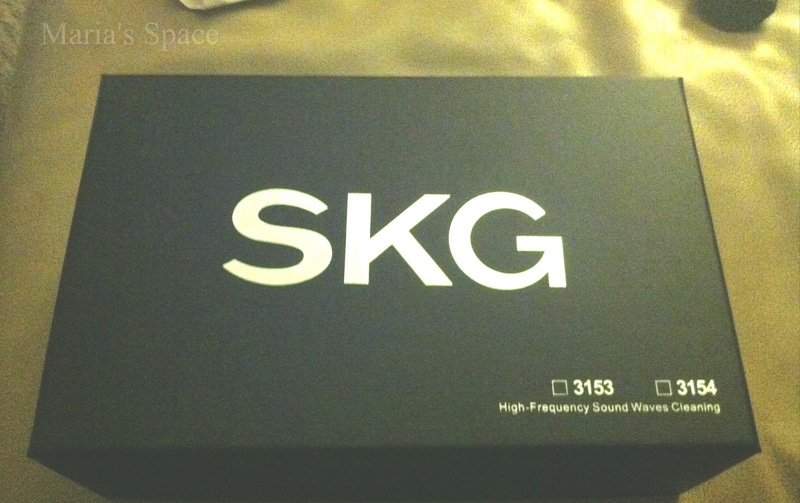 The Only Official SKG Brand Store At Amazon. Seller --- SKG Staff; Product --- U.S. Standard; Price --- Wholesale Outlet. For U.S. customers, this product comes with 1-Month Free Trial & 2-Year Warranty. Advanced ultrasonic technologies - generate micro-massage vibrations that work within skin's natural elasticity to gently remove the impurities traditional spinning type of cleansing methods leave behind. With daily use, the skin feels and looks smoother, softer and more radiant. 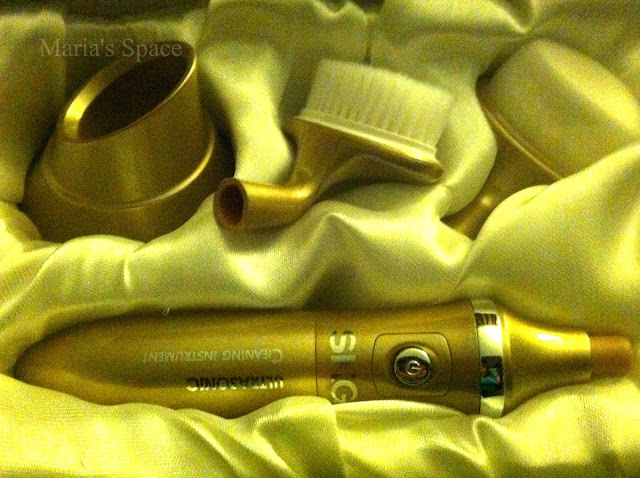 Premium 2 in 1 sonic facial skin care system. Comes with 2 brush heads for 2 cleansing steps or 2 cleansing needs - Dermabrasion cleansing brush for makeup removal; Sensitive cleansing brush for daily deep cleansing. The sensitive brush head is made with 10,000 quick-drying DuPont Tynex super soft filaments. Each bristle is uniquely rounded on the small end of 0.05mm and specifically texturized to provide a gentle and comfortable cleanse. Compact and AA battery (not included in package) operated. Ideal for home and travel use. Waterproof ABS exterior + piano varnish. Can be used in the shower or bath on face & body. The sleek, stylish design and colors (Golden & Scarlet) easily complement your bathroom, makeup table or dressing area. Premium gift set for friends. I love this Facial Brush. It is not only a beautiful item but my face feels amazing after I use it. It can be used with moisturizer, cleaner, serum. Whatever you are using. The ultrasonic facial brush comes with two heads. One very fine brush and one not so much. It says that one is for dermaabrasion but I don't feel either one works that way. They both make my face feel like silk after I use them. Simply use the brush in a circular motion all over your face to get a deep down clean or an extra fine moisturized face. Most of the brushes I have used in the past rotated the brush head, taking my skin with it as it rotated. Adding lines and wrinkles. This doesn't do that as it vibrates the whole thing and you get a nice, smoothness as you run it over your face. Definitely a great product for yourself or as a gift! It came in a beautiful box. Disclaimer: I received one at a deep discount for my honest opinion. No monetary compensation was offered.